If you are reading this blog post, you are at least peripherally aware of the (aspirational) rise of Social Media based education incarnated on its favorite son, the Free Open Access Medical education movement (#FOAMed). There are many positives about the concept of a flat hierarchical community of providers creating content, developing knowledge and impacting practice. At the same time, multiple critiques exist on the these ideas. These include quality, peer review, the lack of real-world academic impact, and possible damage to the career of its creators. Today, most, if not all, of the alternative-media scholarly activity that some of us create and curate have minimal impact on our academic portfolios when compared to traditional deliverables such as mainstream journal publications. This occurs despite the impact that some blogs and podcast can claim. Many of these have audiences (page views/downloads) thousands of times larger than the citation of most papers! Despite this, I think there is hope. We are slowly beginning to witness a primordial soup of academicians and institutions who are realizing the importance of open, socially distributed work in the advancement and impact of science and knowledge on society. The role of the academe, especially academic physicians, is to make an impact in the world and communities that helped support them. This “social contract” promotes scientific advancement, knowledge advancement, and the education the future generations of physicians. We have to be part of the public debate, influence policy, and translate knowledge to interventions for our patients. Academic and Promotions Committees (APC) have the difficult task of helping faculty develop during their tenure with the institution, reward creation and impact of their work in the science and education circles, and guard the quality of the activity to assure alignment with institutional missions. APCs reward quality, excellence, consistency, and impact, and they do so using traditionally accepted metrics. The current Thomson Reuters Science Citation Index (TRSCI) was developed more than 50 years ago. The core idea of this metric was to create a measure of which journals were the most cited or read. This helped guide medical librarians when determining which journals their institutions would include in their library. The formula is basically a quotient of the number of all citations the journal received a given year, divided by all articles published in the two years prior. It is a fairly crude surrogate of impact, and only focuses in journal-based metrics with no real mention to article specific data. The impact of an article is therefore a function of the prestige of the media and not the quality of the product. If our mission is to share knowledge and advance the care of our patients, we must acknowledge that it is difficult to do so if we consider that up to 50% of all scientific papers are not read by anybody outside of the authors, reviewers, and editors. As a response to the traditional TRSCI impact based system, a new movement has emerged. Altmetrics (alternative metrics) have emerged as a potential improvement over previous metrics of the assessment and impact of scholarly scientific work. 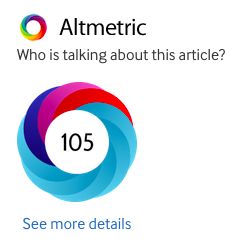 The core concept of altmetrics is that the impact of science is not only measured by how many scholars cite the work, but also how many times the work is actually seen, read; discussed in the news, magazines, and journals; shared via social media; downloaded and bookmarked; and overall how a work affects society inside and outside academic circles. Rather surprisingly, many of the most prestigious science and medical journals have embraced this idea and it is now is common to see a widget on each paper webpage indicating article-specific alternative metrics impact. Social Media platforms are an immensely powerful tool for the distribution science and related content, particularly when using an Open Knowledge philosophy. The technical requirements and cost of publishing in blogs or Social Networks, such as Facebook or Google+, as well as the demands to create podcasts are relatively minimal. Additionally, production time within these platforms is far less than the time required to publish in traditional journals. This shortens the knowledge translation gap from years to months, days, or even, hours. Additionally, access to the content is often free to the user. This is extremely important if we aim to advance science and improve outcomes in underserved areas where the access to pay-walled knowledge is financially impossible. An additional, important aspect of Social Media Based scholarly activity, is the ability to create communities of practice, where people from all over the world gather to form flat-hierarchy communities. These communities produce and share cutting edge knowledge and create a large impact in the environments in which they exist. This is a new world, a brave new world. We owe it to a change in the way we create, share, and teach knowledge. Newer generations are thirsty to produce, collaborate, innovate, and share the craft of their inventions. They are KnowMads; where the process of creating and learning is as important as the outcome. 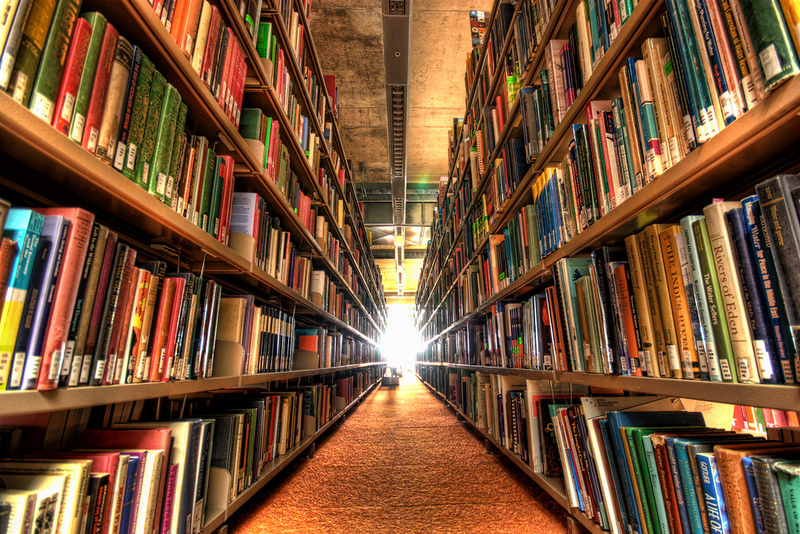 Information is not contained in books and folders in dusty libraries anymore; information is creating itself. It is distributed in the network freely, rather than in a hierarchical way; the knowledge is only meaningful in the setting of the community and how it affects the network. This is a rhizomatic approach to data becoming knowledge. The challenge is not only to create, curate, and distribute; but also to start considering how these activities are worthy of academic recognition and reward. I certainly understand the concern from APCs to assure quality, impact, and appropriateness of the social media activities of their faculty, but I think there are reasonable arguments and examples to support the recognition of these as academically meritorious. In terms of impact, scholarly social media is able to reach the stakeholders better than current pay-walled journals, with some medical websites hitting millions of page views per month. This demonstrates the resonance created in society and the discourse of our communities of practice. The traditional quality and appropriateness assurance system for scholarly work based on the peer-review process has partially worked for decades. In the sharing economy, the model of a small and anonymous group of peers deciding the worthiness and quality of a given work appears counter cultural. A migration to an open, collective intelligence appraisal system is potentially more effective in managing the quality of new knowledge. Old media and metrics are fading away. We need to embrace social media and all open access socially distributed technologies in order to allow academia to thrive in the current future of education and scholarly activities. The future is open publication, open peer review, open access and social and digital metrics of the impact of scholarly activity. @SirBill: the power of social media to transform medical education. Free Open Access Medical Education (#FOAMed). Alternative media and metrics for academic promotion. An emergency medicine physician with an interest in teaching and patient safety. Previous How Does GME Funding Work?